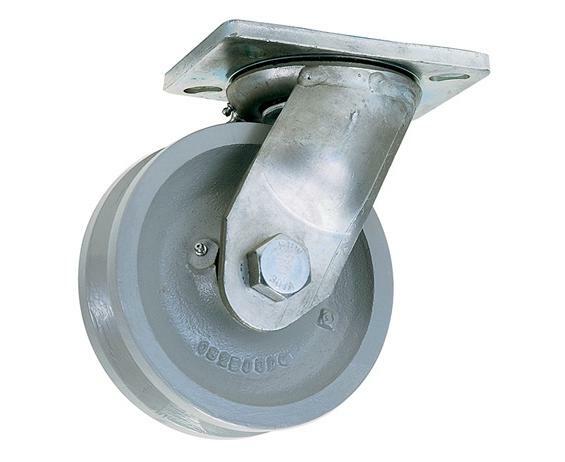 "V" Grooved Wheel Casters | Shelving, Inc. Accurately machined to fit snugly on angle iron track. Designed for easy use on ordinary floor surfaces. Ideal for production systems which operate constantly from station to station... allows better use of floor space and avoids cluttered aisles. Nut and bolt axles. Roller bearing. Zinc plated. FOB Shipping Point. PAYRON - Semi-steel machined gray iron. 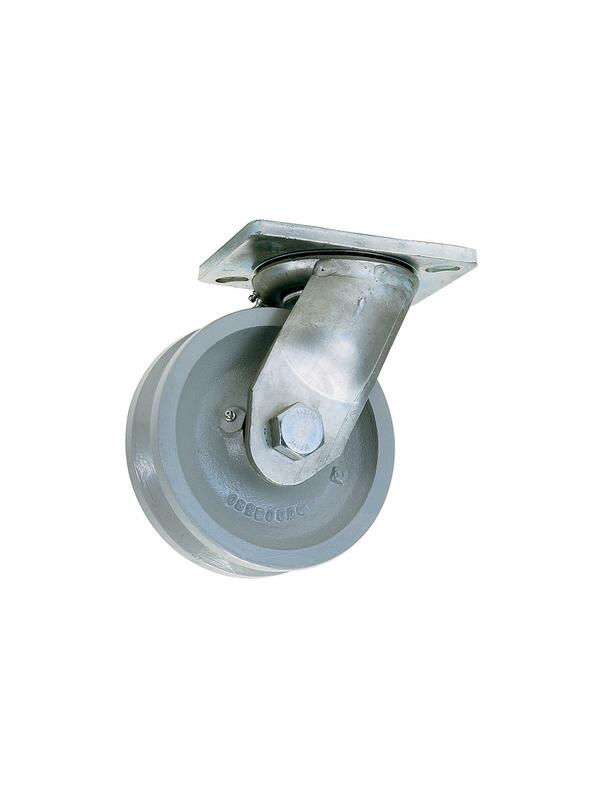 PAYDUCTILE - Cast high tensile ductile iron. 2-7/16 x 4-15/16" slotted to 3-3/8 x 5-1/4"